The Fortrie is an excellent well appointed four bedroomed Bungalow. All four bedrooms are contained on the left hand side of the property with the master bedroom also providing en-suite facilities. 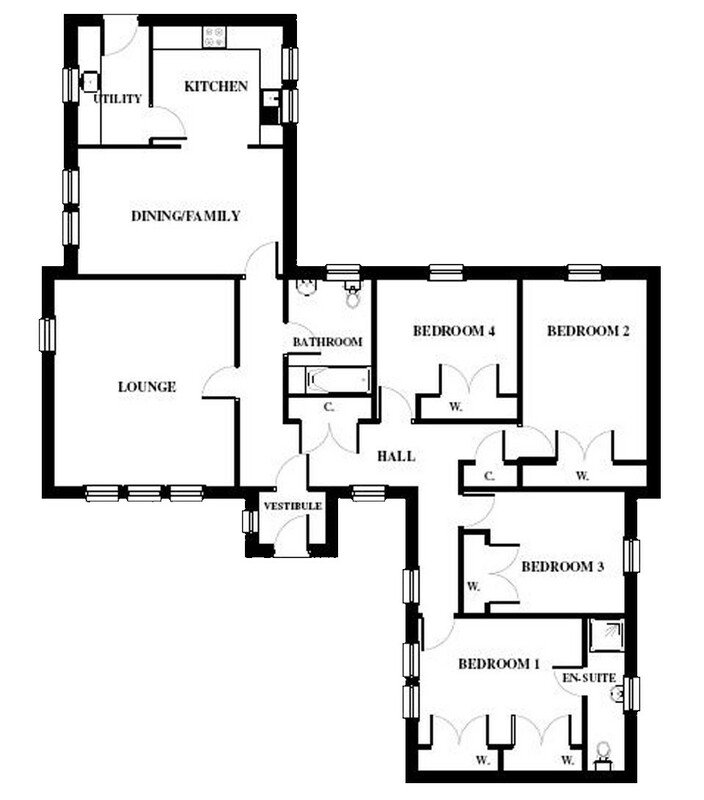 A bathroom in positioned in the centre of the house with a very well proportioned lounge on the front right and a large family / dining room with a connected kitchen. There is also a separate utility room accessed directly from the kitchen.